Last Friday I had the honor of attending a workshop by children’s author Conrad Storad. Interesting fact: In a short time he will surpass his goal of reading his books to over 1,000,000 children. Yes, that’s 1 million children. Amazing! In his newest picture book, The Bat Book illustrated by Nate Jensen and Tristan Jensen, Storad uses a story within a story format to engage young readers. In the book Little Boy Bat, the main character who lives under the famous Congress Avenue Bridge in Austin, Texas, decides to write a book to help humans learn bats are not frightening. The result is both enlightening and fun. Children will probably be interested to know that Tristan Jensen was 8 years old when he did some of the illustrations for the book. His contributions are on pages 13-22, with some more detailed insets created by his dad. Storad also throws lots of scientific information about bats into the mix and the backmatter is stuffed. There’s two pages of “Facts to drive you batty,” information on “Researching Bats,” “How to Help Bats,” all about Little Boy Bat (what kind of bat he is, etc. ), notes from the author and illustrator about how they created the book, and “How to Draw a Bat” activity. The Bat Book is full of passion about bats and that enthusiasm is sure to spill over to the reader. Don’t be “scared” to pick a copy up today. Fly on over to Growing With Science Blog for more information and links to related activities. Copyright © 2015 Roberta Gibson at Growing with Science All Rights Reserved. Categories: Science | Tags: Conrad Storad, The Bat Book | Permalink. The moon is so bright on this June night that the pond water gleams. A beaver kit floats near his family’s lodge. This is the story of a beaver kit’s first year of life, and there are lots of lessons to learn. Watch out for owls at night! Cattails are yummy. Play with your sisters. And help build the dam. 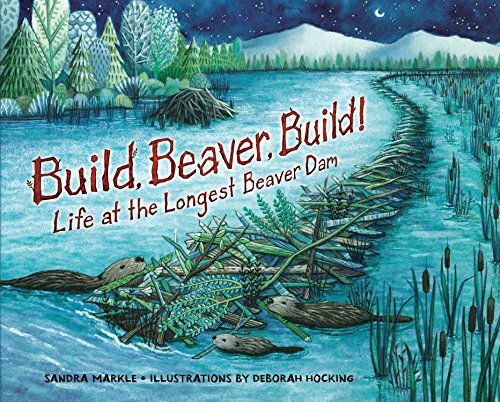 What I like about this book: I like the way Sandra Markle tells a story of a young beaver’s life – all the things a kit has to learn before setting off into the world on his own. And I like that the story is structured around a dam – not just any dam, but the longest dam in the world. It’s so BIG you can see it from space. I love the artwork. Deborah Hocking captures the essence of beaver family life as well as the details of the Canadian forest in which this beaver family lives. The combination of detail (tree bark, leaves) and color (so many watery blues and greens) keep me coming back to this book again and again. I also love that there is back matter about the dam and beaver home life – and lots of resources for finding out more. Head over to Archimedes Notebook for some beyond the book activities and an interview with illustrator Deborah Hocking. Looking for a way to keep teenagers engaged in STEM? 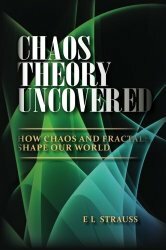 Chaos Theory Uncovered: How Chaos and Fractals Shape Our World by E L Strauss might be just the ticket. It reveals how math can be used to help us understand and make predictions about large, complex events in a beautiful way. When you first open the book the computer-generated illustrations might just give you chills, particularly the swirling brightly-colored lines against a black background that are visual representations of chaos. The images of fractals are stunning as well, particularly the Mandelbrot set. Magic happens when art meets math. Strauss helps the reader tiptoe into the topic by starting out with the history of how chaos theory came into being. In this case it started when a meteorologist noticed a problem when he ran simulations on a computer and delved into why the anomaly happened. He eventually proposed a model to explain it that would lead to the so-called “butterfly effect” and the foundations of chaos theory. The concepts that follow build on each other each other in a logical progression that increases the reader’s understanding while keeping him or her engaged. The clear organization makes the text easy to follow even though the vocabulary is challenging. The best part about the book is it is not watered down for kids. To get the most out of it, the reader should probably have a working understanding of at least algebra, and an inkling of beginning calculus would be helpful. Chaos Theory Uncovered: How Chaos and Fractals Shape Our World is sure to help young adults and adults to understand complex math. It might also help some to discover an astonishing new passion. Create your own butterfly effect by picking up a copy today. Stop by Growing with Science blog to see related activities and information. Categories: Math, STEM Friday round-up | Tags: Chaos Theory | Permalink. 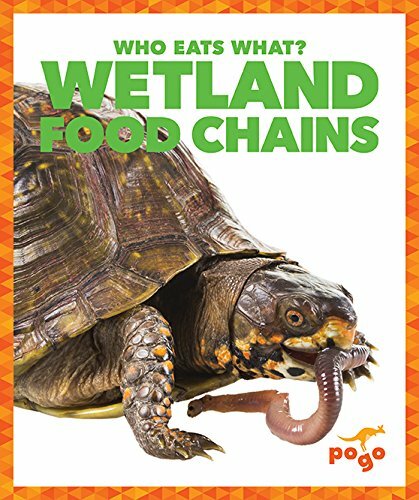 For Earth Day today, explore the wetland biome and the food chains it supports in this beginning reader with short chapters. Some wetlands are big. They can cover millions of acres. Others are small. And wetlands are not always wet. Some wetlands can be dry in the summer. Some wetlands are big. They can cover millions of acres. Others are small. And wetlands are not always wet. Some wetlands can be dry in the summer. The facts about this biome appear to be opposites, so they are explained together in short simple sentences for beginning readers. Copyright © 2016 Anastasia Suen All Rights Reserved. It is often difficult to find good nonfiction science books for young adults. By the time readers reach their teen years, if they are interested in science they are often forced to resort to reading books written for adults. 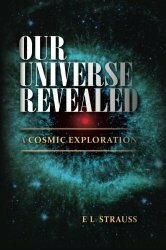 That is why at Growing With Science blog we were excited to find Our Universe Revealed: A Cosmic Exploration by E. L. Strauss, which targets this under-served age group. Our understanding of the universe is changing rapidly. Strauss guides the reader through a thorough introduction by relating unfamiliar and complex topics to more familiar ones. For example, how do scientists study the history of space? Strauss explains that the processes of uncovering clues are similar to those used here on Earth in the field of archeology, and then gives specific examples. Do you know what a magnetar is? What about degenerate matter or population III stars? If these terms are unfamiliar, this book will introduce you to them. Strauss, however, doesn’t just string together vocabulary words. The author also explains how the concepts fit in the bigger picture. As a case in point, Strauss shows how our ability to create better technology to explore the universe has greatly increased our body of knowledge. The illustrations in the book are amazing. They include a selection of photographs and artist’s renditions of that are wondrous to behold, as well as numerous detailed charts and tables. Instead of a simple illustration of the Scientific Method, Strauss gives a much more complex and realistic “Process of Investigation” flow chart. What scientist hasn’t wandered “down a few dark alleys” as Strauss explains? Although – as the book summary states – Our Universe Revealed is “aimed at bright, gifted, curious and creative teens,” it is also likely to appeal to adults who want a clear understanding of some of the most cutting-edge concepts in astronomy today. Nothing expands your mind like exploring the cosmos and this book is a wonderful way to start. Categories: Science, Technology | Tags: E. L. Strauss, Our Universe Revealed | Permalink. This Level 1 guided reader illustrates examples of “pushing and pulling” found in the animal kingdom. A cat can push through a flap in the door. This dog is pulling in its leash. 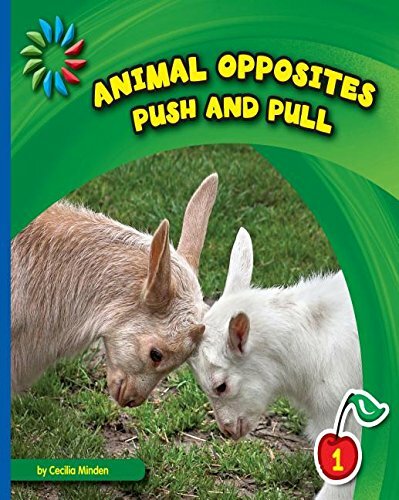 The opposites are paired by types–these animals are both pets–so the book also teaches categorization. Big Bear stepped out of her winter den. By her side, half asleep and blinking in the spring sunshine, wobbled a tiny cub. So begins little cub’s journey of discovery – and there is SO MUCH to learn! How to be friends. What to eat in the woods.The best swimming holes. With Big Bear’s help, the cub grows in confidence until it’s time to head home. 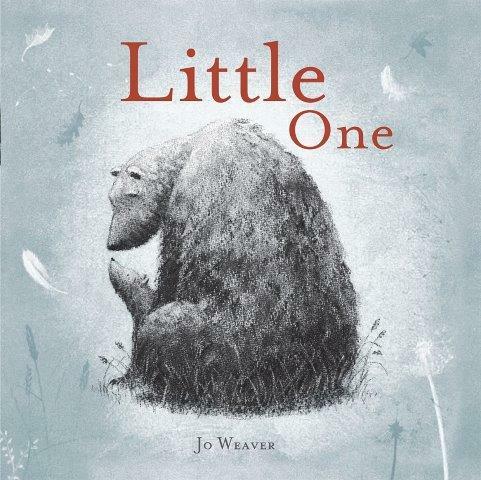 What I like about this book: It is grounded in nature and seasonal change. I like the black-and-white illustrations ~ the contrast of soft charcoal on textured paper. They leave room for the imagination to add color and sound. And I like the aesthetics of the 11-inch square that, once opened, provide lots of room for expansive spreads. Explore spring with beyond-the-book activities at Archimedes Notebook. Copyright © 2016 Sue Heavenrich All Rights Reserved.